4th summit of Arab and South American countries concludes in Riyadh, issues final communique. Vice President calls on the international community to stop supporting rebels and armed movements. A police statement on the riots at the University of the Holy Quran by Darfurian Students who protest against tuition fees. Details of death of 5 children in Maleet/North Darfur State. Speaker of Parliament submits his financial disclosure form to the Unlawful and Suspicious Enrichment Prosecution. Al-Bashir returns home after participation in Arab - South American Summit in Riyadh. Deficit of $ 4.8 billion on trade balance volume in Sudan. Criminal proceedings against Ashraf Sayed Ahmed (Cardinal). Council of Ministers approves Framework agreements signed with Saudi Arabia. SPLM/north agrees to negotiate with the government in Addis Ababa . Al-Bashir and Emir of Qatar discuss strengthening relations between the two countries. Saudi delegations to arrive in Khartoum soon to implement agreements of electricity, water and dams. African Union: Agar, Gabriel and Minawi will participate in Addis negotiations. 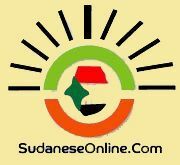 Al-Bashir calls to the restructuring of the international system and reform of the United Nations. المفلسون والمنبطحون النوبة بالخارج ينضمون لحوار قاتل أهلهم.. بقلم عبدالغني بريش فيوف..